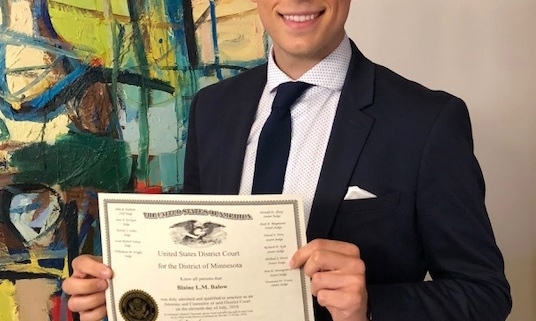 On July 11, 2018, Halunen Law’s Blaine Balow was admitted to practice in the United States District Court for the District of Minnesota. 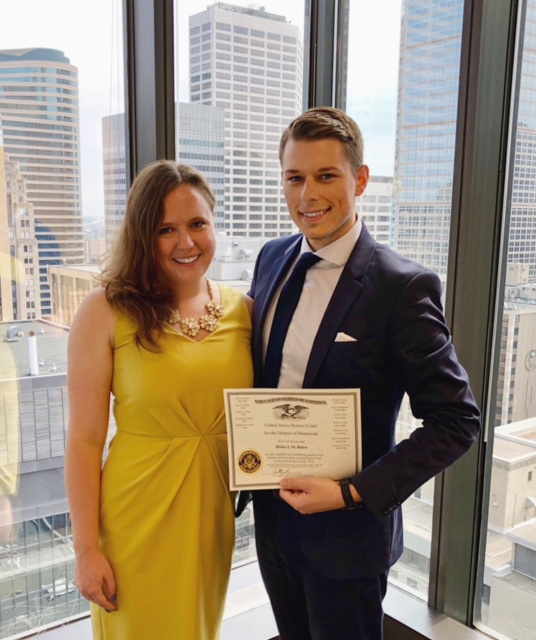 Halunen Law employment attorney and colleague Emma Denny made the motion for admission at the U.S. Courthouse in Minneapolis. 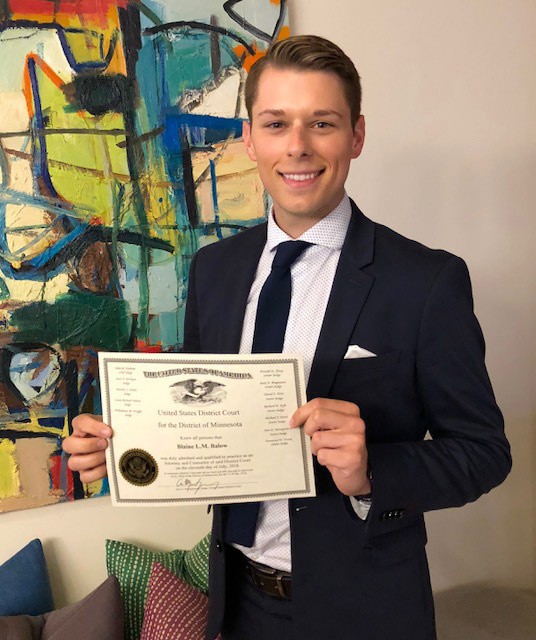 The Honorable Ann D. Montgomery granted the motion and Blaine was then admitted into practice in federal court. As an employment attorney, Blaine represents clients in matters of discrimination, civil rights, sexual harassment, or are whistleblowers. Congratulations Blaine!